The Wicked Witch Of The West. the wizard of oz 1939 classic film. 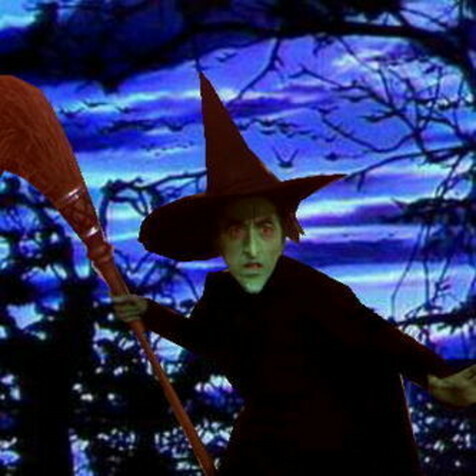 Wallpaper and background images in the el mago de oz club tagged: the wizard of oz classic film musical image photo. That would have been a great shot if it was in the movie. God what i would do if i could re do the film lol. Fabulous blue skies !That would be interesting but i don't think anyone could portray these characters like the original cast do you? What I'd like to do is go back, and restore all the cut parts of film. Shame so much doesnt exist any more, e.g. Ding dong Emerald City, parts of witches speech in munchkinland etc. Absolutely i agree. Did you see Return To Oz i don't feel that it had the same impact as the Wizard of Oz. Yeah I've seen it, and didnt rate it really, mainly because I think they butchered Baums sequel.... The marvellous land of oz..
Dorothy isnt even in the second book.